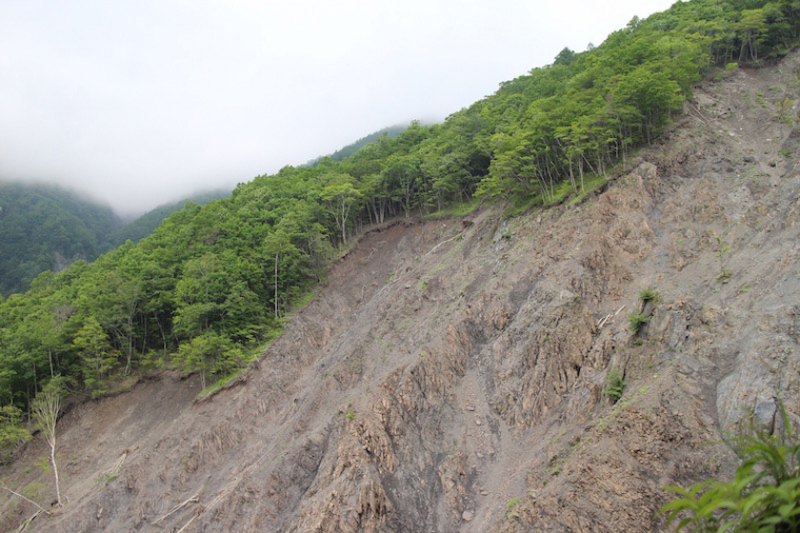 In the Mountain Management Division we are engaged in educational research regarding forest management and its utilization, including forest disaster prevention and wood resources mainly in the Chubu area mountains. We undertake practical application of the basic science of the Mountain Comprehension Division. We are working on a broad range of issues related to climate change, including the fixed amount of carbon dioxide in the forests and its circulation, the melting of permafrost and soil erosion in Japan and around the world, and water resources and the water environment at the source areas in the mountains. We hope to provide knowledge that will be beneficial to understanding the climate and mountain environment relationship and methods for its management through these issues. Japan’s central mountainous region and its surroundings are home to some of the highest elevations in Japan. The mountains that make up this area near Japan’s central fault line are characterized by their extreme steepness and brittleness and the mixture of mountains formed from volcanic activity mixed among them. Scientific efforts in mountain disaster prevention are very important in an area such as this. Our efforts toward landslides that frequently occur in steep mountainous areas scientifically elucidate their mechanism and we are conducting educational research that incorporates on-site observation and experimentation. In addition, in a country like Japan with a large number of volcanoes, responsive measures to landslides are a necessity, as are conservation activities that harmonize with the surrounding environment. Here, we are addressing this issue starting with elucidating vegetation succession and the factors that define it. In addition to thorough field observation, we are broadening the range of education research by conducting simulations based on those observations. 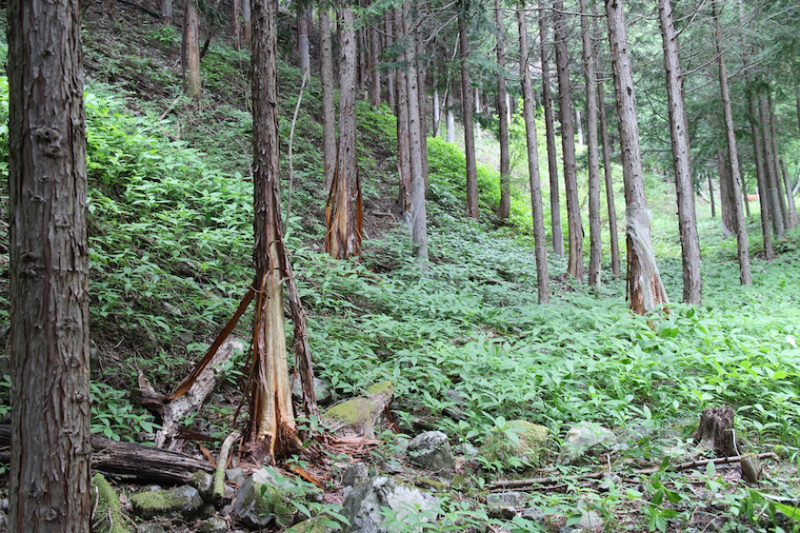 The forest at the Mountain Science Center’s Ikawa Forest Station where landslides frequently occur on the steep mountain surface. Vegetation on Mt. 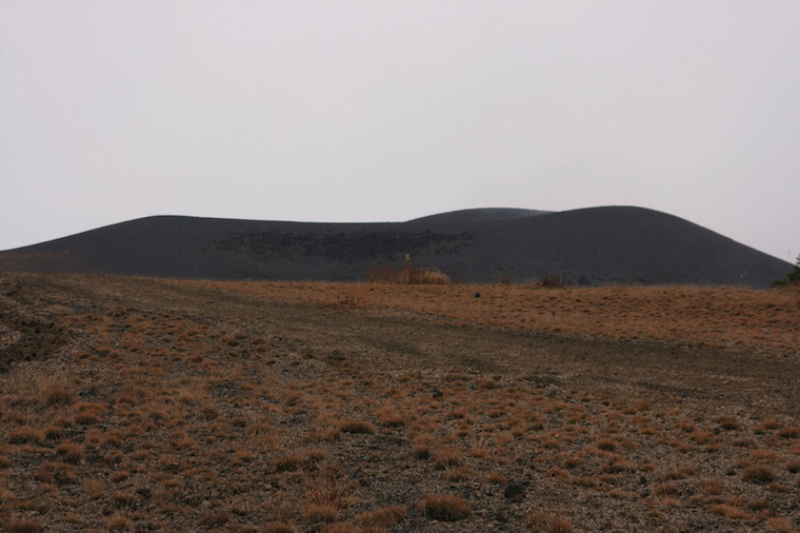 Asama’s surface beginning to recover after a volcanic eruption. While there are abundant forests in Japan’s central mountain region, many of those forests are not well managed. In addition, they suffer serious damage from wildlife. We are working on proposals to manage the forests aimed at an optimal solution for timber production and countermeasures against wildlife damage, taking into consideration what is most suitable for the land and the trees. In terms of our forest usage activities, in addition to aspects such as forest resources, we also delve further into research regarding tourism in mountainous regions, and we have also been working on issues regarding the relationship between climate change and tourism in mountainous regions. We are studying ways to manage mountainous regions using tourism within forest ecosystem services. Bark damage from Asian Black Bears in a hinoki cypress forest. 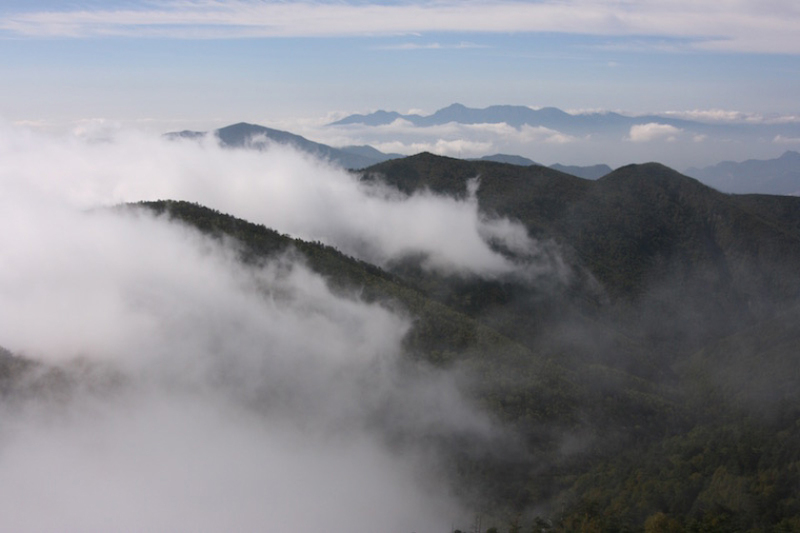 The Chichibu mountains and Yatsugatake from the peak of Mt. Kobushi.